Yesterday, made an impromptu trip to Singapore National Museum for an half-day excursion. 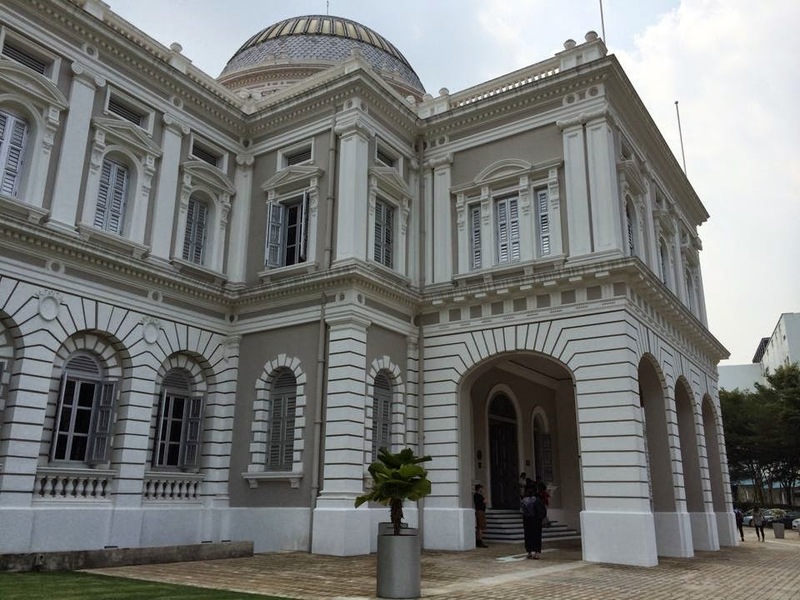 Even though the only major exhibition available is the Singapore History Gallery but I did spend a good 3-4 hours there just to stroll back time (kind of like "back to the future") to way way back when Singapore was called Temasek. It is an eye-opening (or should I said "reopening" since I should have learnt some of it in the history lesson many many many years ago) experience. The cool part is that the exhibition is presented in multi-media and interactive way (they provide an interactive mobile gadget [like mini ipad] for the visitors to learn more via the corresponding audio clips), so, it is kind of fun and the kids would loved it. Personally, I viewed that there are much to learn from the history, even in the stock investment scene. Even though many investment gurus trying the play-down the effect to the the newbies by stating that history (or past) does not guarantee the future (which is not wrong). However, as long as it is a factual and quantitative history (past) i.e. not based on hear-say, it would be a good basis for us to tap on. Do you think the financial market's history (past) playing a major roles in how your perform in your investment strategy/journey? P/S : Oh, by the way, in case you don't know, all the museums are free to enter for all Singaporeans and Permanent Residents.